I was just framing a painting for my mom and decided to take photos of the process in case some of you are interested in doing this for yourselves. I'm assuming you know absolutely nothing, so please bear with me if you already know the basics. 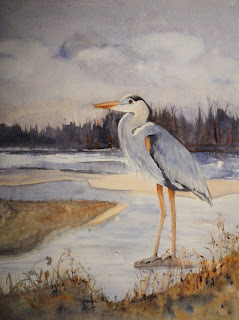 For some ideas about where to get the materials mentioned in this post, see Watercolor Resources. Watercolor "paper" is actually made from 100 percent cotton rag. Unlike canvas or linen used for oil paintings, watercolor paper isn't given a water-resistant coating. While some artists spray a protective finish on their work, most do not because it changes the way the painting looks, and not everyone likes the result. So most of the time you'll be framing work that isn't waterproofed. To protect the painting you can use glass or acrylic. Acrylic is much harder to break than glass, which is good if you're shipping your framed painting or putting it in a show that requires acrylic. Otherwise glass is fine. Non-reflective glass or acrylic is nice, although more expensive than the regular stuff. In addition to glass, you need to protect the painting with a mat and backing (usually foam core), which should be acid free and archival, unless you don't mind your painting turning yellow over time. I always use a double mat because it looks better. You also need some acid-free cloth tape to attach the painting to the mat. The mat keeps the painting from touching the glass, which is very important. If you opt not to use a mat, then you need to put a spacer between the glass and the painting so they don't touch. Finally, you need a frame. In general, the larger the painting, the wider the frame molding can be, but it's all a matter of taste. Do, however, consider how the end result will look when you're selecting molding. You don't want to either overwhelm or underwhelm the artwork. You have three options for acquiring mats and frames. 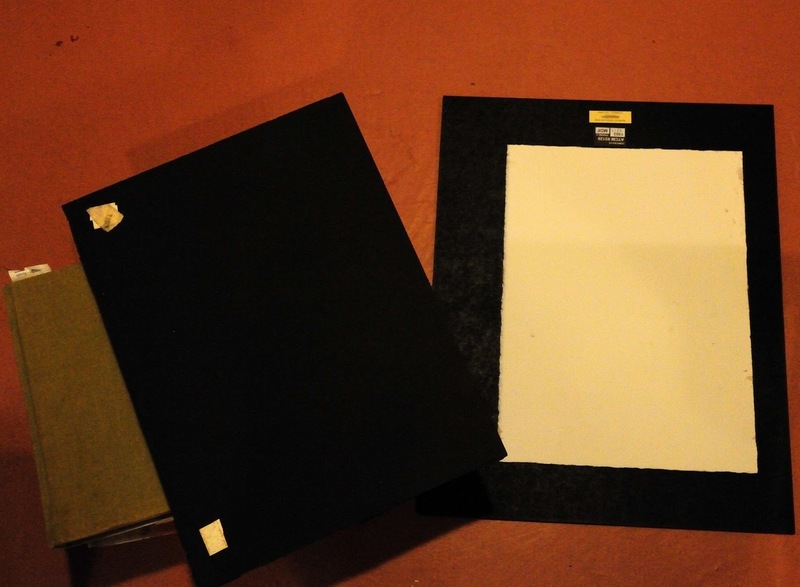 The cheapest way is to buy a pre-cut mat and pre-made frame. Alternatively, you can purchase the equipment to cut your own mats, and even buy parts to assemble your own frames. Eventually you can save money by cutting your own mats, if you do enough of them, although I've found the mat material to be expensive unless bought in bulk. Finally, you can simply order what you need from a framer. Mat inside dimensions: 10" X 14"
Mat outside dimensions: 16" X 20"
Frame inside dimensions: 16" X 20"
This is my go-to size because the mats and frames are readily available. Watercolor paper: 12" X 15"
Mat inside dimensions: 11" X 14"
Mat inside dimensions: 5" X 7"
Frame inside dimensions: Various - just make sure the outside dimensions of the mat and and the inside dimensions of the frame are the same. You can explore what's available online and in your area to decide what works best for you. Here are recommendations from West Charlton Frame Company for the correct size mats and frames to use for different size paintings. I highly recommend using this company for your custom framing needs. Here's the fun part. While framing the painting for my mom this morning, I took some hurried photos to show you the process. I made this painting of a Great Blue Heron for my mom on Arches 140 lb cold-pressed watercolor paper. To flatten the painting prior to framing it, I lightly misted the back with water, sandwiched it between two boards, and left it overnight under a pile of books. This morning I laid the mat face down and then laid the painting face down on top of it, attempting to center the painting over the opening in the mat, which of course I couldn't see because it was upside down. To check, I held the mat and painting together with my fingers and lifted them up to take a peek. Deciding it looked OK, I attached the painting to the mat using two pieces of acid-free cloth tape at the top of the painting, like hinges. 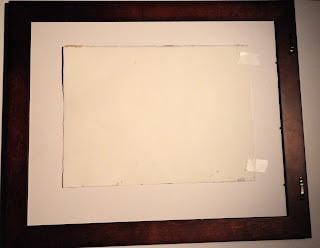 This will allow the painting to hang freely inside of the frame and expand and contract without buckling as the humidity changes. Then I set the mat and painting down inside the frame. I finished it off by setting the acid-free foam core on top of that, and securing it all with the metal tabs that come with the frame. Voila. Here's a crooked photo of the result. The frame fortunately is not crooked. thank you for this wonderful description of a simple framing process. 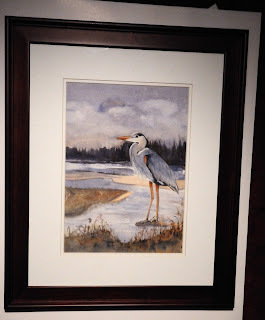 I have googled how to frame a watercolor a 1000 times and yet I am not able to find such a nice decription as what you have posted. I'm glad you liked my post. Thanks for your comment. Thank you so much for this detailed description. I, too, was looking for some instruction in this area and was at a loss! This was a great resource as I am trying to figure out what I am doing wrong with my framing. Thank you so much! Thanks so much. Easy to follow directions! I am a new student of art and love watercolor. I am using 140# paper and still have that "warping" of the paper. When I frame will this be a problem? What do you find as a solution. Thanks. Your example is lovely. Hi Linda, If you lightly mist the back of the painting with water and press it under a book overnight, that should take care of the warping. Some watercolor painters wet and stretch the paper on a board, and staple and tape the edges before they paint to keep the paper flat. I don't bother with that, and have no trouble making my paintings flat when they're ready to frame. Hope this helps! 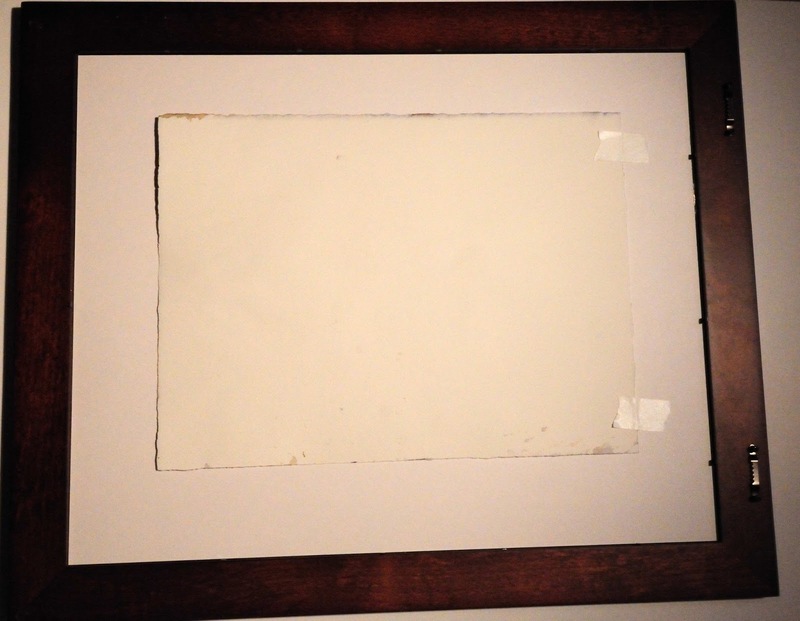 How would you secure the paper if you wanted to see the edges of the painting? Same cloth tape? 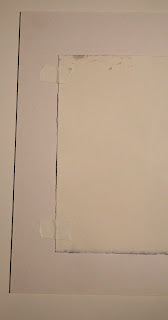 To do this, I make sticky-side-out loops of acid-free tape and attach all four corners of the painting to the backing. 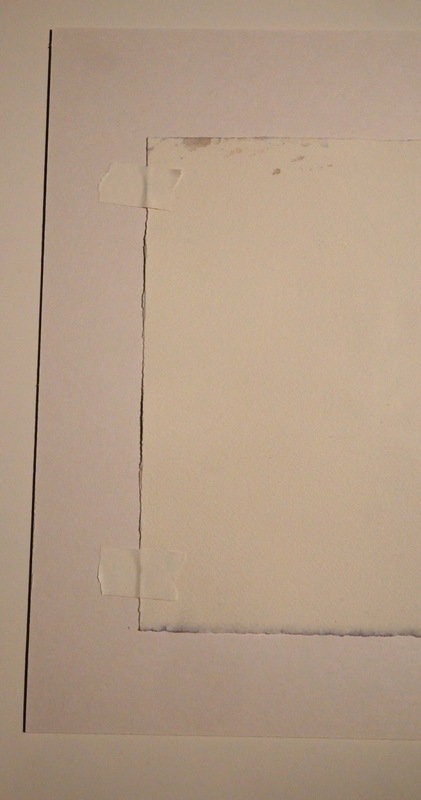 The recommended way is probably to use double-sided tape, but I haven't found it necessary. Do you know any way to hang and frame watercolor paintings in the bathroom? Everyone says it is not recommended, but I really want to use my art for the bathroom. They are painted on Arches paper. Sally, they're your paintings to enjoy, so I say go for it. I actually have watercolors in my bathroom and haven't had a problem. If there's a lot of moisture, your backboard or mat could warp or buckle, so you'd have to replace it. If the Arches buckles, you can just flatten it out again. Enjoy!